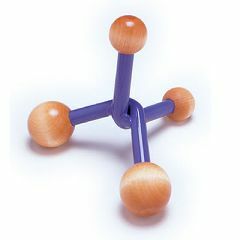 The Original Jacknobber®, the first of its kind, resembles the small, multi-pointed object used in the traditional game of Jacks, hence its name. The knobs at each of its four points can be used in a variety of ways to apply deep pressure to muscular trigger points. Placed against a wall or the back of an upholstered chair, the user can lean into the upright knob. Placed on a carpeted floor, it can be used to apply direct pressure to points on the bottom of the foot. Pressure can either be deep and intense or gentle and relaxing, according to the preferences and needs of the recipient. Using two knobs at a time, pressure can be applied to muscles on opposite sides of the spine. Held in the hand with three of the knobs pressed firmly into the muscles around the shoulder blades of a friend or loved one, it can be used to give the most pleasant and comforting backrub they'll ever enjoy. Its versatility is limited only by the inventiveness of the creative user. Good Value. High Quality. Durable.